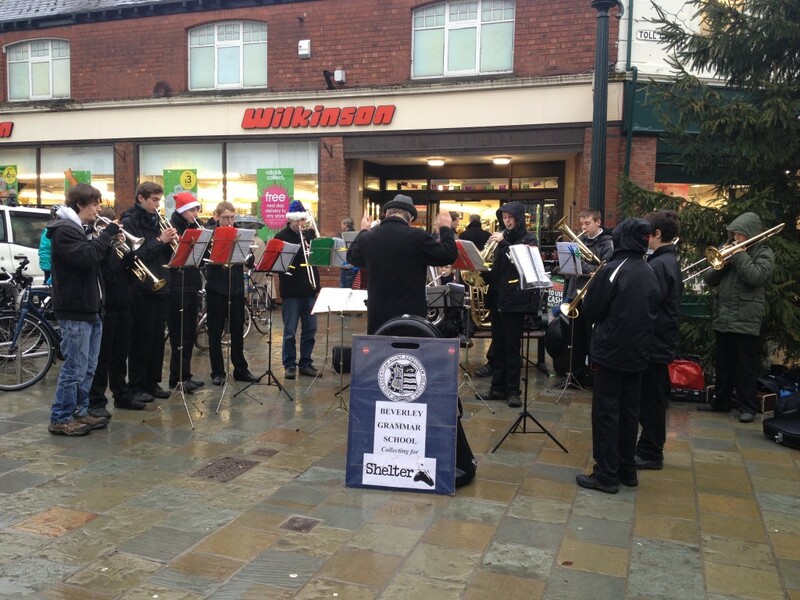 In a story that just missed the Autumn Term Beverlonian, the Beverley Grammar School Brass Group braved the elements by busking in the centre of Beverley just before Christmas. Almost 20 boys, with their conductor, Mr Cranmer, performed for an hour near Toll Gavel, raising money for the homeless charity, Shelter. Despite the constant drizzle, the boys were in high spirits which came through in their playing, helping them to raise £261.52 for the charity. This was a fantastic achievement, especially as this total is a whopping £100 more than has been raised previously through busking! Many thanks to the musicians involved, and also the generous public.